By Jacob Abbott. 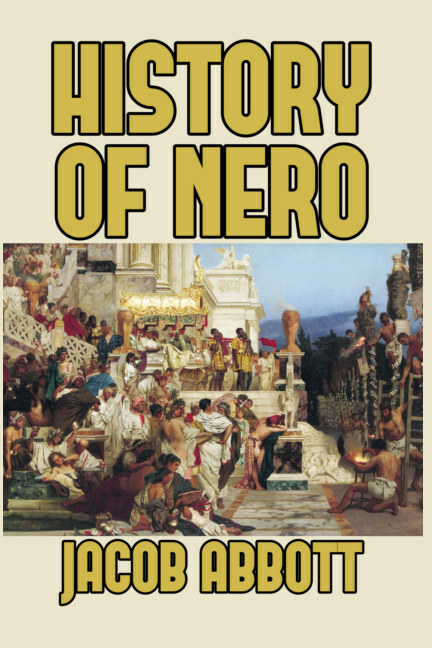 The violent, bloody, and incredible story of Nero Claudius Caesar Augustus Germanicus (37–68 AD), who was Roman Emperor from 54 to 68, forms the basis of this highly readable and compelling work by master storyteller and popular historian Jacob Abbott. Beginning with the previous emperors Caligula and Claudius, Abbott lays the groundwork for Nero’s early years and family background. Nero was adopted by his great-uncle Claudius to become his heir and successor, and succeeded to the throne after Claudius’s death. The author is careful to make sure that all the details he provides are accurate and sourced—and then presents to the reader a whirlwind of drama, intrigue, amazing extravagance, and ultimately, madness, centered around the highest office in the Roman Empire. 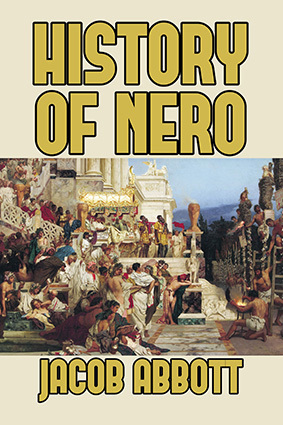 As Nero’s personal behavior became more and more erratic, he accumulated endless enemies at home. This resulted in assassination conspiracies—all of them unsuccessful, but increasingly desperate and causing a spiral of retaliation and cruelty.